English physiologist Sir Edward Albert Sharpey-Schafer's study of the pancreas leads him to the discovery of a substance that would normally be produced in non-diabetics: insulin. The name comes from the Latin insula, meaning island, referencing the insulin-producing islets of Langerhans in the pancreas. Elliott Joslin, MD, publishes the first edition of The Treatment of Diabetes Mellitus. A clinician and educator, Joslin is renowned throughout the world as one of the most influential voices in diabetes care. Frederick Banting, MD, and his then student assistant, Charles Best, MD, extract insulin from dog pancreases. Banting and Best were working in laboratory space at the University of Toronto provided by Professor J.J.R. Macleod. They inject the insulin into dogs whose pancreases have been removed, and the animals’ blood sugar levels go down. James Collip purifies the extract so that it can be used in humans. Banting and Macleod were awarded the 1923 Nobel Prize in Physiology or Medicine, though the contributions of all four men have been recognized as important in the discovery of insulin. Eli Lilly and Company begins commercial production of insulin. In the decades that follow, manufacturers develop a variety of slower-acting insulins, the first being protamine insulin introduced by Novo Nordisk in 1936. At a time when less than half of all babies born to mothers with diabetes survive, Priscilla White, MD, starts the Joslin Pregnancy Clinic. Fifty years later, Dr. White achieves a 90 percent survival rate among babies born to her patients. The American Diabetes Association is founded to address the increasing incidence of diabetes and the complications that develop from the disease. Rachmiel Levine, MD, discovers that insulin works like a key, transporting glucose into cells. Becton Dickinson and Company begins production of a standardized insulin syringe designed and approved by the American Diabetes Association. The American Dietetic Association, and the U.S. Public Health Service devise a meal planner that divides foods into six groups, or “exchanges”, based on the calories, carbohydrate, protein, and fat in each serving of food. The American Diabetes Association funds its first direct research grants. Tablets for testing urine glucose become widely available, and urine test strips appear over the next few years. These options are simpler than using Benedict’s solution, which must be mixed with urine and heated over boiling water. Sulfonylureas, oral medications that stimulate the pancreas to release more insulin, are available. New, more potent forms of these drugs will become available later. Using radioimmunoassay technology, Solomon Berson, MD and Rosalyn Yalow, PhD develop a method for measuring insulin in the blood. They notice that some people with diabetes still make their own insulin, and they identify “insulin-dependent” (type 1) and “non-insulin-dependent” (type 2) diabetes. Glucagon, a hormone produced by the pancreas that raises glucose levels, is introduced by Eli Lilly and Company as a treatment for severe hypoglycemia. The Ames Company introduces the first strips for testing blood glucose by color code. The first successful pancreas transplant is performed at the University of Minnesota Hospital. The Ames Company introduces the first glucose meter. Insulin receptors are discovered on cell membranes. This discovery raises the possibility that missing or defective insulin receptors may prevent glucose from entering the cells, thus contributing to the insulin resistance of type 2 diabetes. The relationship between blood vessel disease and hyperglycemia is reported. U100 insulin is introduced. With the availability of this single concentration and with insulin syringes marked with only a U100 scale, frequency of dosing errors could be reduced. Development of the Biostator enabled continuous glucose monitoring and closed loop insulin infusion. Human Leukocyte Antigens (HLAs) are discovered on cell surfaces. People with type 1 diabetes have specific patterns of HLA that are associated with varying levels of risk for diabetes. The first insulin pumps were invented. Rosalyn Yalow, PhD is awarded the Nobel Prize in Physiology and Medicine for her work in measuring insulin in the body. Boston researchers develop a test to measure glycosylated hemoglobin (A1C). A1C testing becomes the gold standard for measuring long-term diabetes control. Researchers at the City of Hope National Medical Center in Duarte, California, and Genentech, Inc., in San Francisco, induce E. coli bacteria to produce insulin identical to human insulin. Portable insulin pumps are introduced and researchers achieve normal blood glucose levels in patients using them. But, due to their large size, they are impractical at this time. The National Diabetes Information Clearinghouse is created by the federal government to gather and document all diabetes literature. The National Diabetes Data Group develops a new diabetes classification system: 1) insulin-dependent or type 1 diabetes, 2) non-insulin-dependent or type 2 diabetes, 3) gestational diabetes, and 4) diabetes associated with other syndromes or conditions. A new animal model of type 1 diabetes, the non-obese diabetic (NOD) strain of mouse is described in Japan. Introduction of the basal-bolus concept enabled "intensive insulin therapy" to be used in the clinic to effectively treat people with type 1 diabetes. The FDA approves human insulin produced by genetically altered bacteria. A 64K autoantibody is discovered and is found to be associated with type 1 diabetes. A link between hypoglycemia and brain metabolism is established. Second-generation sulfonylureas enter the market allowing patients to take smaller doses and with reduced side effects. The insulin molecule is identified to be a target of autoimmune response in individuals with type 1 diabetes. Scientists discover a relationship between pregnancy and the worsening of diabetic retinopathy. The National Diabetes Data Group reports that type 2 diabetes is more common among African Americans, Mexican Americans, and Native Americans than among Caucasians. Fifty percent of all Pima Indians in Arizona over the age of 35 have diabetes – the highest rate in the world. The 64K autoantibody originally discovered in 1982 is found to be predictive of type 1 diabetes. Researchers determine that tight control of glucose levels during pregnancy is important for the health of the baby, and continue to study how diabetes increases the risk for birth defects. 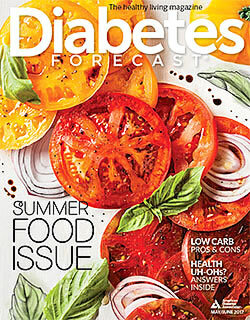 American Diabetes Association releases its first Standards of Care to guide physicians in the treatment of diabetes. Glucose is discovered to be distributed into muscle and fat cells via a transporter known as GLUT-4. Understanding how glucose is transported from the bloodstream into cells to be used as fuel is important to locating different drug targets that can improve insulin sensitivity. The 64K autoantibody associated with type 1 diabetes is identified. This protein, GAD, or glutamate decarboxylase, is an important enzyme involved in cellular communication in the brain and pancreas. The immune system’s attack on GAD triggers a progressive autoimmune response that leads to diabetes. The Diabetes Control and Complications Trial (DCCT) showed that keeping blood glucose levels as close to normal as possible slows the onset and progression of eye, kidney, and nerve diseases caused by diabetes. In fact, it demonstrated that any sustained lowering of blood glucose helps, even if the person has a history of poor control. Captopril is FDA approved to treat end-stage renal disease. Leptin, the fat cell hormone that modulates feeding behavior and hormone secretion, is cloned. The Scandinavian Simvistatin Survival Study (4S) showed that cholesterol lowering with statins markedly reduced the risk of myocardial infarction, stroke or death. The effect was greatest in individuals with diabetes. The incretin hormone GLP-1 is discovered. Incretin hormones are secreted from the gut in response to food, and encourage the body to produce insulin. Discovery of GLP-1 will later lead to a new class of diabetes drugs that can increase insulin secretion in response to glucose, and even increase the amount of beta cells in the pancreas. The drug metformin becomes available in the U.S. Metformin is a biguanide that prevents glucose production in the liver. The drug acarbose, brand name Precose (Bayer Corporation) becomes available in the U.S. Acarbose is an alpha-glucosidase inhibitor that slows digestion of some carbohydrates. Lispro (a lysine-proline analog) is introduced by Eli Lilly and Company as the world’s fastest acting insulin. Troglitazone, brand name Rezulin (Parke-Davis), is approved by the FDA. It is the first in a class of drugs known as thiazolidinediones, and it improves insulin sensitivity in muscle cells. It is eventually removed from the market due to liver toxicity. Rosiglitazone and pioglitazone, also in this drug class, are later brought on to the market. The terms “insulin-dependent diabetes” (IDDM) and “non-insulin-dependent diabetes” (NIDDM) had long been used to describe different groups of diabetes patients. The terms type 1 diabetes and type 2 diabetes are now accepted to define diabetes by cause rather than treatment. In addition, the fasting glucose level for diagnosing diabetes is lowered from 140 mg/dl to 126 mg/dl. Repaglinide, brand name Prandin (Novo Nordisk) is developed. Repaglinide belongs to a class of drugs known as meglitinides. They stimulate insulin secretion in the presence of glucose. The United Kingdom Prospective Diabetes Study (UKPDS) shows that people with type 2 diabetes who practice tight control of blood sugar levels and blood pressure levels reduce their risk of complications, similar to the results of the DCCT in people with type 1 diabetes. Together these two studies transform the nature of diabetes care around the world. Treatment with the anti-CD3 monoclonal antibody, hOKT3gamma1(Ala-Ala), slows the deterioration of insulin production and improves metabolic control during the first year of type 1 diabetes in the majority of patients. The American Diabetes Association defines prediabetes as impaired fasting glucose (IFG) and/or impaired glucose tolerance (IGT). IFG is defined as a fasting blood glucose of 100-125 mg/dl, and IGT is defined as a glucose level from 140 mg/dl – 199 mg/dl two hours after consuming a glucose-rich drink. Later, A1C levels of 5.7% to 6.4% are also used to identify individuals with prediabetes. Exenatide, brand name Byetta, is approved in the U.S. as a first-in-class incretin mimetic (GLP-1) drug to treat type 2 diabetes. An injectable drug, exenatide works by increasing insulin production in response to blood glucose levels. Pramlintide, brand name Symlin, is approved in the U.S. as an injectable adjunct treatment for people who use insulin at mealtimes but still fail to achieve desirable blood glucose levels. FDA approves JANUVIA (sitagliptin phosphate), the first in a new class of drugs known as DPP-4 inhibitors that enhance the body's ability to lower elevated blood sugar. DPP-4 is an enzyme that naturally blocks GLP-1 from working, so by inhibiting this enzyme, GLP-1 works in the gut to promote insulin secretion. The results of the ACCORD, ADVANCE and VADT studies are published and presented at the American Diabetes Association Scientific Sessions. All three studies fail to show a benefit of intensive glycemic control on cardiovascular outcomes in people with type 2 diabetes who are at high cardiovascular risk. The results from these studies lead to clinical recommendations that call for a more individualized approach for setting glycemic goals and treatment targets. FDA approves Invokana (Canagliflozin), the first in a new class of drugs know as the SGLT-2 inhibitors, for lowering elevated blood sugar in patients with type 2 diabetes. SGLT-2 inhibitors block the activity of sodium glucose transport proteins in the kidney, reducing glucose re-uptake and increasing secretion of glucose in the urine.